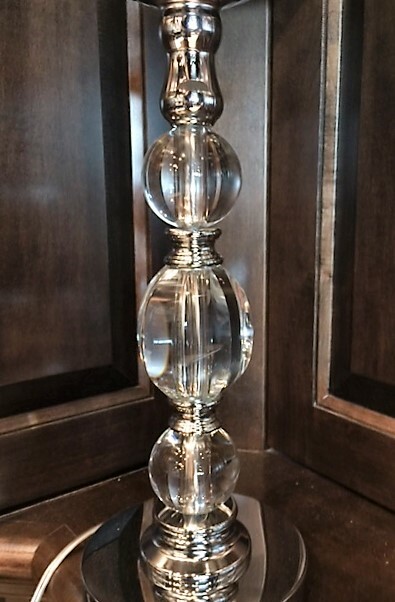 Lamp with crystal style base. 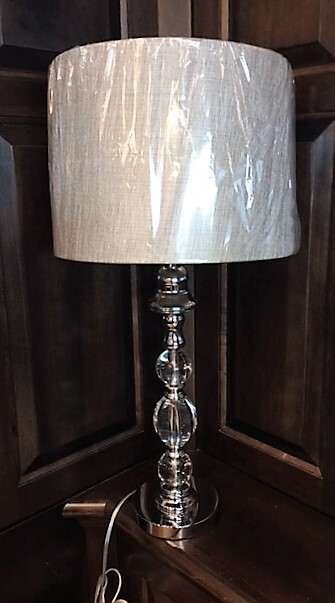 Beatiful New Crystal and Chrome Table Lamps with beautiful Grey Fabric Shade. Stands 28 "High. Second one at the same price.